Do you dream of an EDI visibility tool that will show you the entire order-to-cash/procure-to-pay cycle? That's why we partnered with the folks over at CoEnterprise to bring you Syncrofy, the first EDI visibility tool of its kind. Real time alerts - Easily stay on top of your business processes with real-time notifications, allowing you to correct errors before they become major headaches. 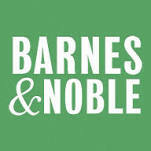 Invite partners - Teamwork, made easy. Securely share information, compare data, and solve problems with your partner organization before they become larger issues. Complete document life-cycle & visibility - Your data, on demand. Syncrofy's intuitive interface makes it easy to search, view, and track anything from entire files to a singular document. Get full transparency into associated transactions, timelines and exceptions. Find the information you need and gain insights with ease. "Syncrofy really helps us see the flow of the business and gives us complete visibility into every aspect of our organization." 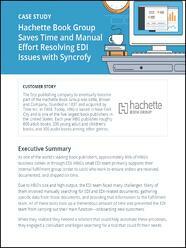 Download this case study to learn how one of the largest publishers in the world uses Syncrofy to resolve issues.